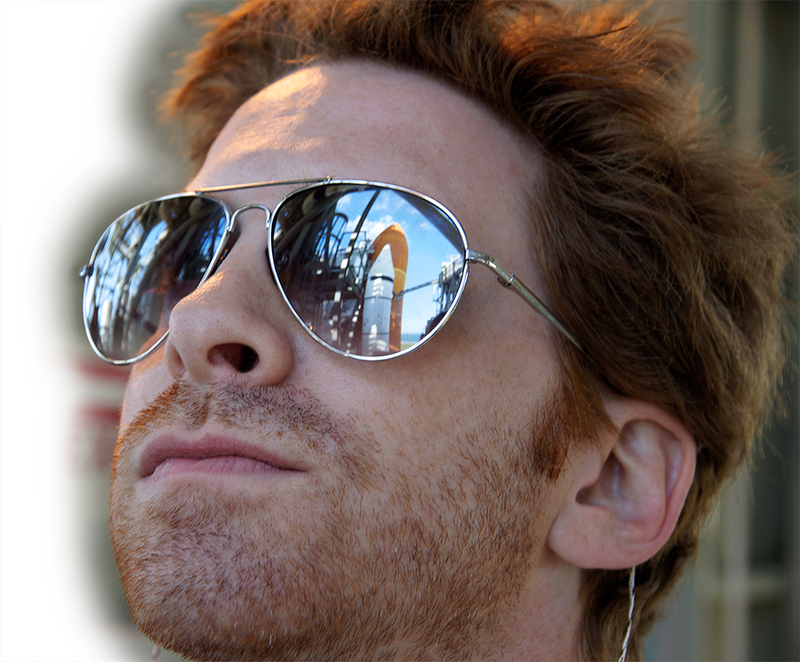 Despite being one of the hardest working actors in Hollywood, Seth Green still finds time to stay current on NASA missions and dreams of going into space one day. With three TV shows currently on the air – Dads, Robot Chicken and Family Guy – he’s only a few clicks of a remote away from your living room. Seth recently took a few moments from his busy schedule to answer some light-hearted questions. Seth: I’m a hard split. Spider-Man and Batman are my favorites. Seth: I’ve always been partial to Star Wars. It’s a larger universe that’s more accessible. Seth: I’ll try to be compassionate to where the villain is coming from, but you should only use your powers for good. Q: Hotter Star Trek character: Orion slave girl or the Borg’s 7 of 9? Seth: 7 of 9. I’d be an excellent ambassador in human, Borg relations. Q: More fun to build things, or to destroy them? Seth: Build. But blow stuff up whenever you get the chance. Seth: I’m kind of on an Elon Musk, Ray Kurzweil, Dean Kamen kick these days. Seth: Earth. Maybe visit Earth 2. And I’m still pushing for spring break on Mars. Seth: I deeply love NASA. I’m excited about Planetary Resources. I cannot wait to fly with Space X.
Seth: The one in the future that I’m on. Seth: 3D bio-printer, plenty of seeds and robots, strong wifi, and the Missus. Seth: Tang and astronaut ice cream. Seth: I’m already married to the perfect co-pilot. Q: When you gaze at the stars at night, how many constellations can you point out and name? Seth: I’m not good at that, but I have a few phone apps that know EVERYTHING. Seth: There’s so much we have yet to understand about where we are. Pushing further out into our galaxy will help close that gap. Q: The universe. Will it end in fire or ice? Seth: From all the information I’ve heard the total universe will eventually destroy itself. But we’ll probably see some amazing things before that happens.